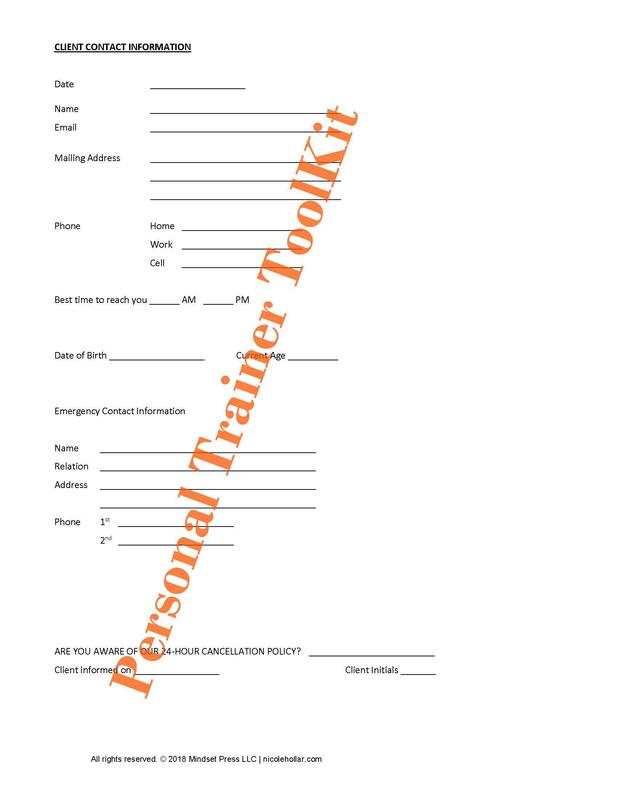 The Personal Trainer ToolKit is a collection of data forms designed to help you both organize, and create efficiency in your training business. 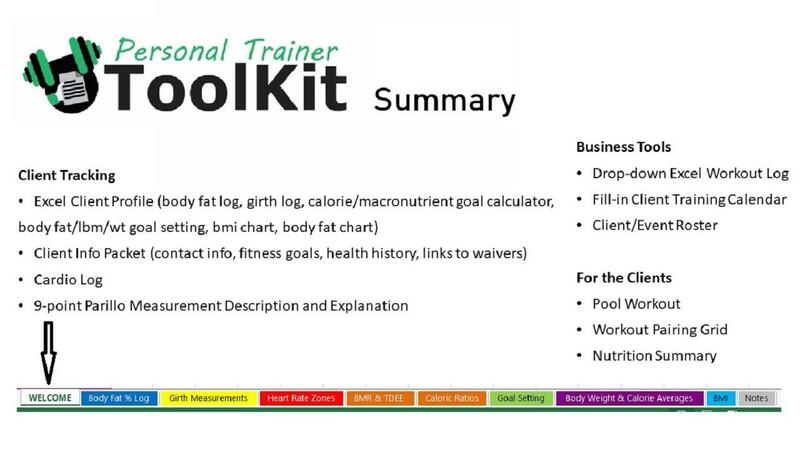 Most of the tools are interactive and calculating, and many are modifiable for your specific business needs. 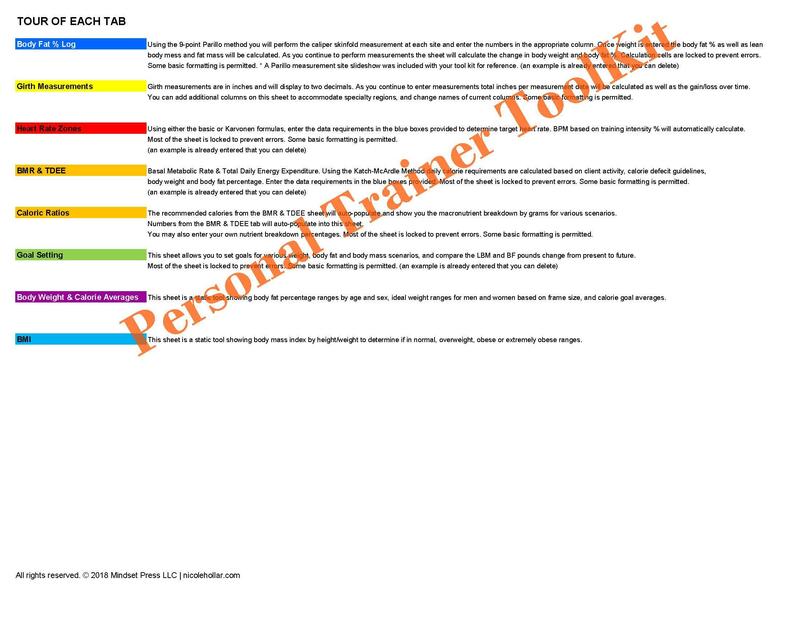 Summary of use for your Excel workbook. Self-calculating tool. Enter the measurements and it does the math for you. 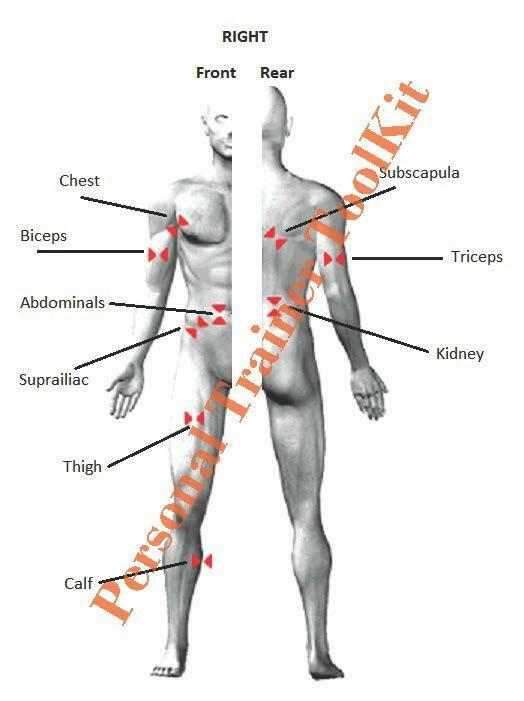 Two methods to determine heart rate zones with this self-calculating tool. 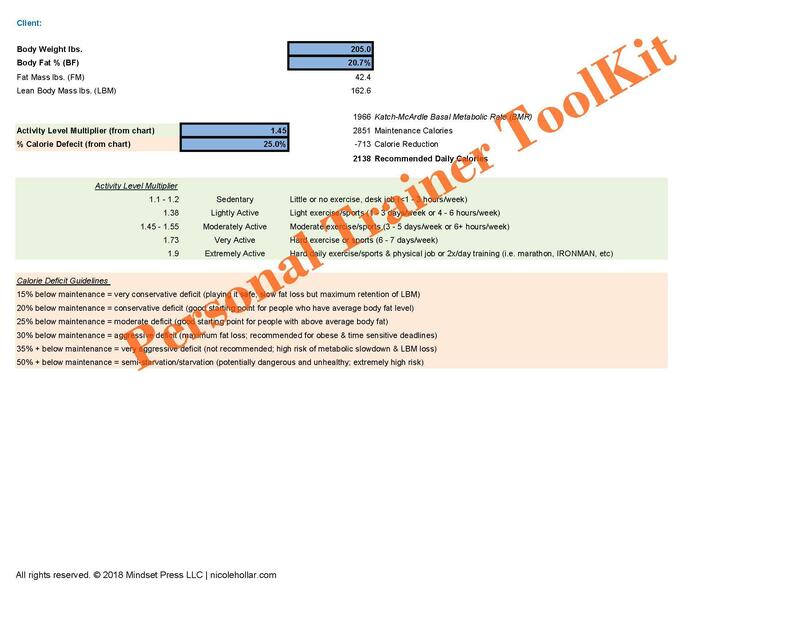 Self-calculating tool to determine Basal Metabolic Rate & Total Daily Energy Expenditure. 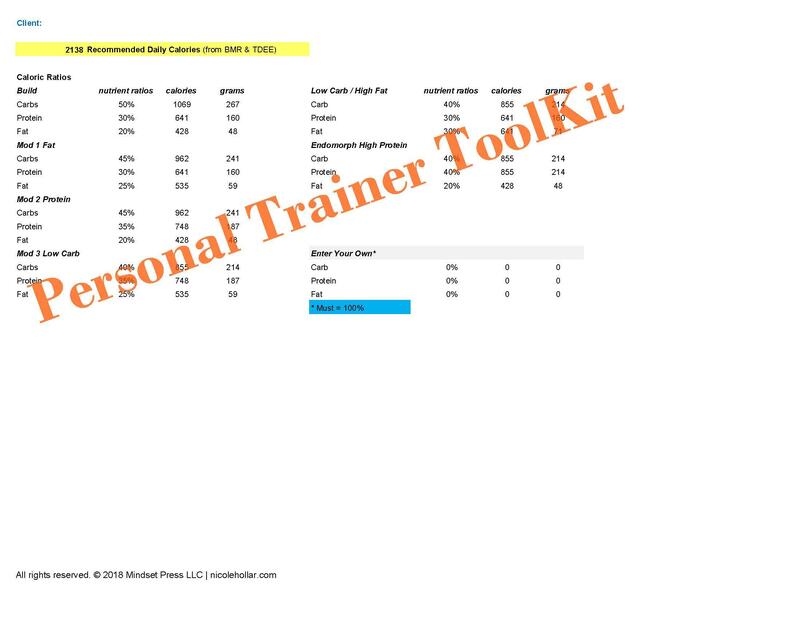 Determine daily caloric requirements and macronutrient breakdowns with this self-calculating tool. 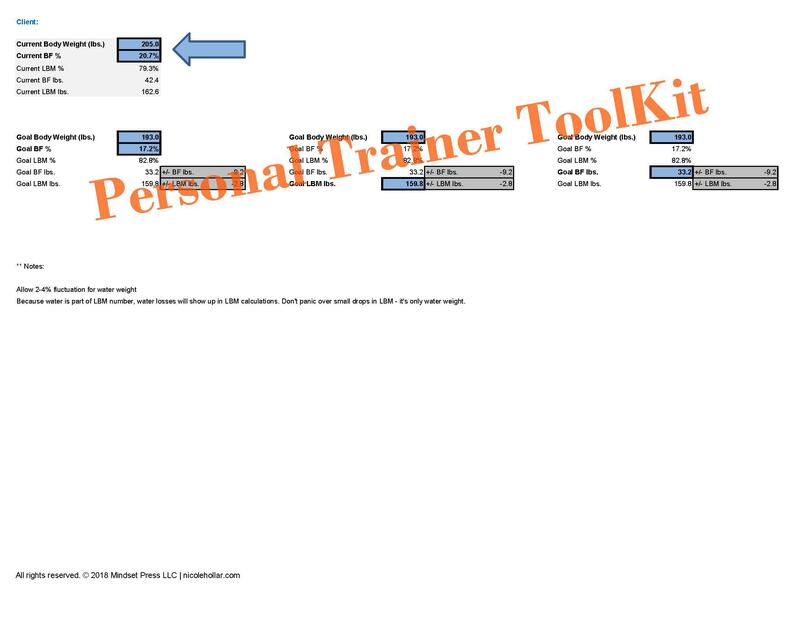 Set goals for total weight, lean mass or body fat % with this self-calculating tool. 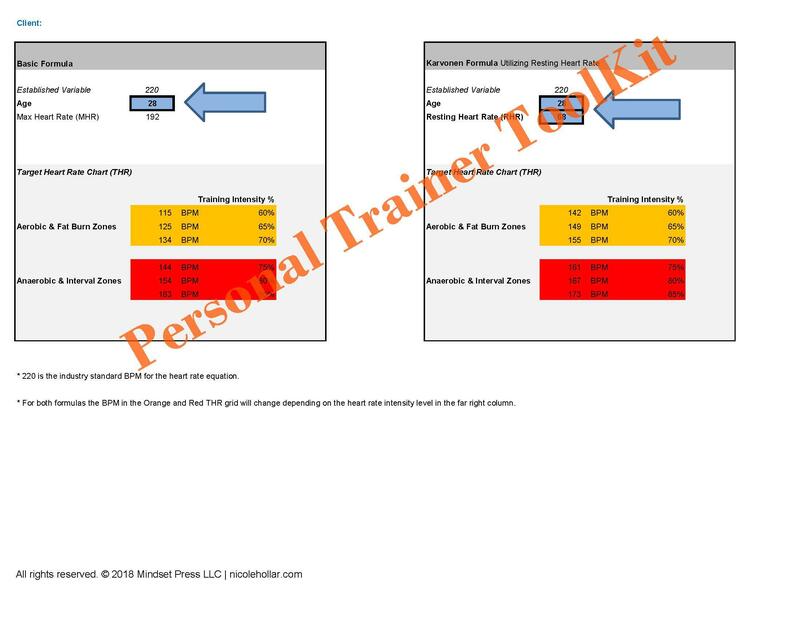 Start clients off with easy to pair blocks for each workout. 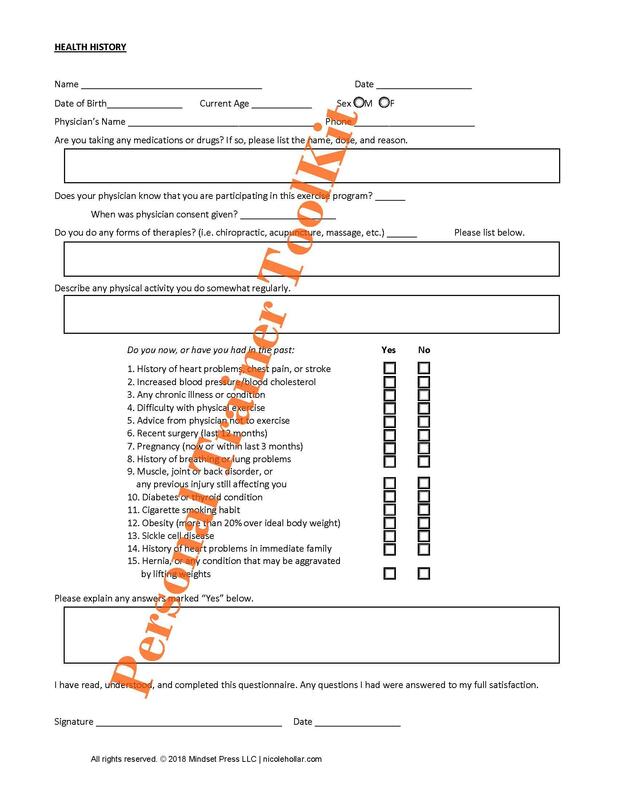 An active, fill-in .pdf to collect your prospect's personal data. 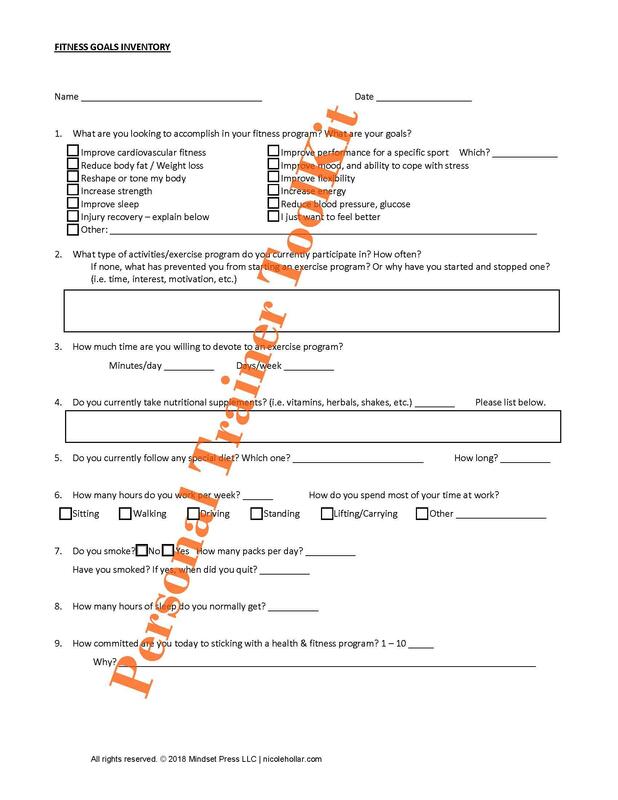 An active, fill-in .pdf to collect your prospect's health history data. 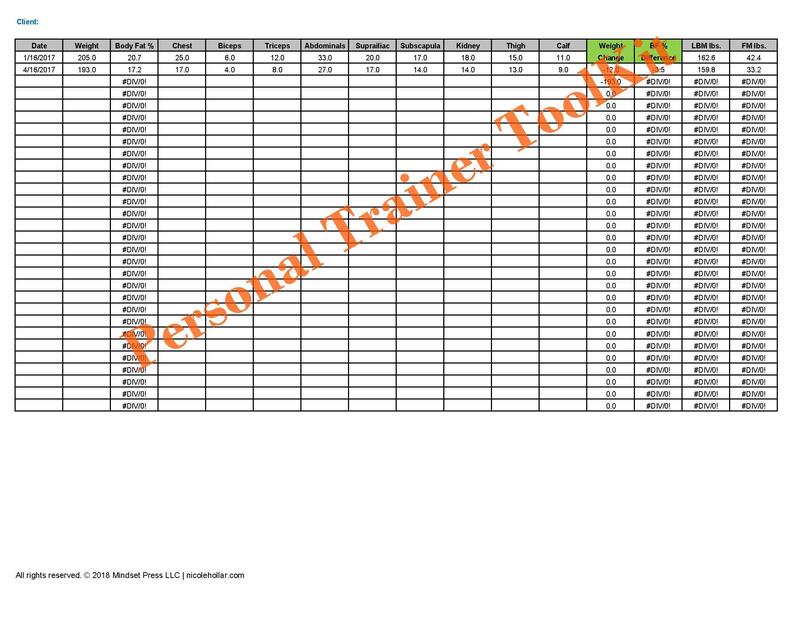 An active, fill-in .pdf to collect your prospect's fitness goals data. 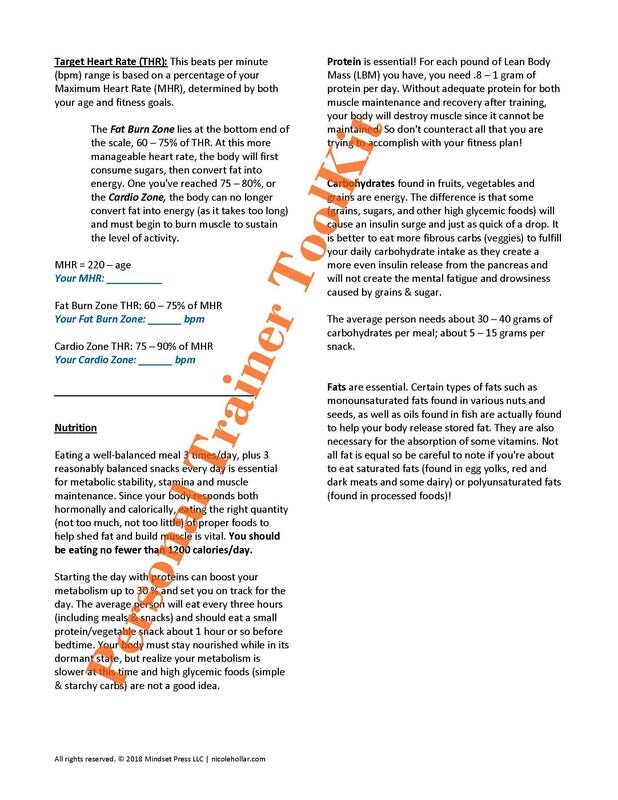 Give clients a basic overview of the macronutrients and their function. 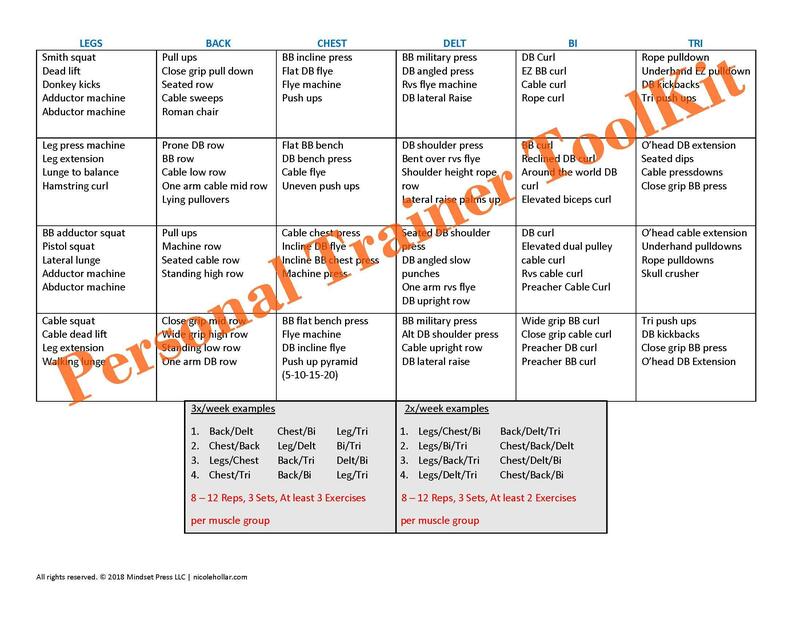 Drop-down style exercise lists to make activity selection easy. 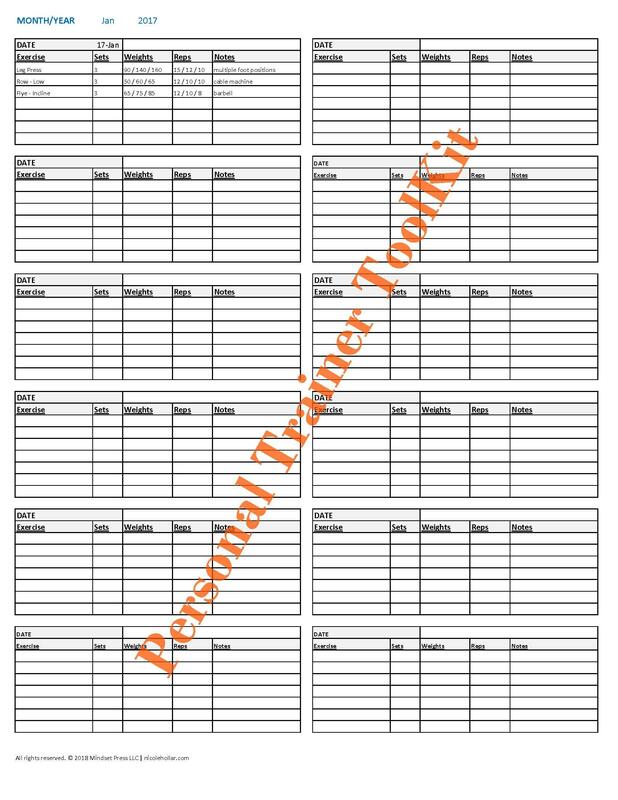 Pre-make workouts or fill in afterwards. 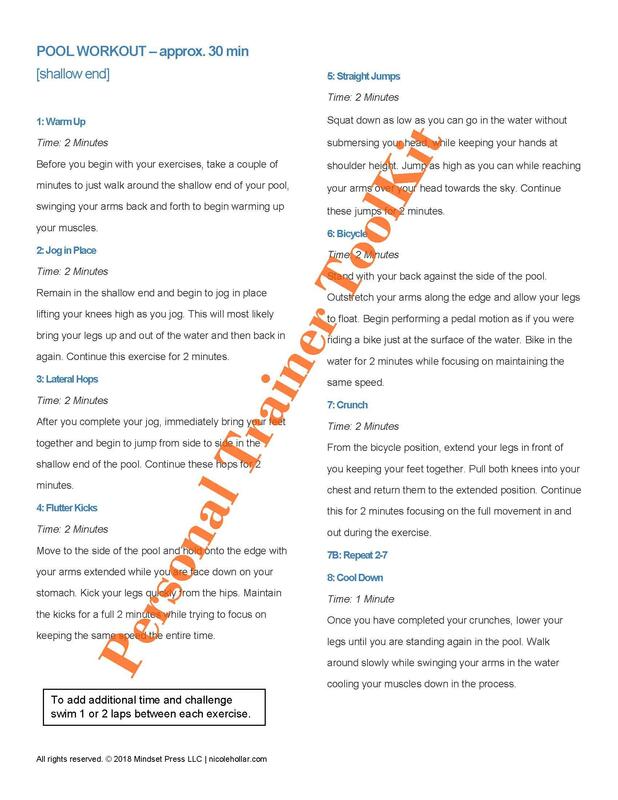 A 30 minute pool routine for people who can't swim laps. I hope you love the Free Downloads!